HP launched the M as their cheapest and baseline series of printers that were full of functions but avoiding luxury features. The HP LaserJet M1120 soon became a hit among individual users and small offices, as they had ample print speeds and effectiveness. The printer increases productivity and substantial cost-savings. The printers have an attractive, compact design. The printer can print, copy and scan while saving time and money. M1120 uses the instant-on technology, which allows the user to get the first print in less than half of the time required with other printers. This path breaking technology consumes 50% less energy than the traditional fusing which makes it truly high-energy competent. It employs LED technology enabling the user to start copying without waiting long. LED technology saves a lot of time, ultimately reducing the cost for the owner. The printer's monthly duty cycle approximates at 5,000 pages. The limited HP warranty provides sound support 24/7 for troubleshooting and guidelines. The warranty plan may be extended with the options of inexpensive HP Care Pack Services. LaserJet printing is theoretically expensive, but the M1120 has proved that speculation wrong, as it uses an all-in-one toner and cartridge technology. 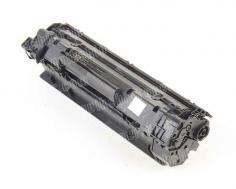 The usage of the ink cartridge will consume a small amount of toner, thus reducing the cost of the prints. The all-in-one cartridge facilitates built-in intelligence, which optimizes the quality of printed documents, and sound alerts the user when the supply of ink becomes low. The HP LaserJet M1120 churns out mono graphics and the prints are exceptionally first-rate. Although, the printer has not earned the title of being one of the fastest mono lasers at roughly 20 pages per minute, is sufficient for the needs of small offices. 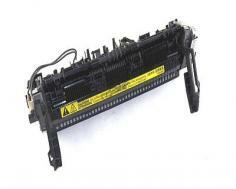 The speed surpasses the HP LaserJet M1120 compatriots of the same class. The 24 bit color scanning unit, while moderately impressive, dishes out an A4 image at 300 dots per inch in less than 16 seconds. At 600 dots per inch, it takes 52 seconds, which is not too terrible. If the basic requirement of your business is scanning along with mono printouts, HP LaserJet M1120 will perform both the tasks with ease and impressive efficiency. The Kensington lock secures with a cable to prevent theft of the computer. One thing you can be certain of, is the considerable performance at just the right price with this black and white, fast MFP. 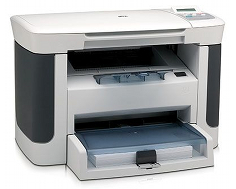 The HP LaserJet M1120 printer has high speed USB connectivity and utilizes a 230 MHz processor. HP LaserJet M1120 is a simple, somewhat fast, easy to install, and user friendly MFP that requires little user intervention. It has a two-line high resolution front panel display. Though the M series LaserJet printers from HP perform efficiently, they still have a few limitations. Networking is available only through OS X printer sharing. The HP LaserJet M1120 works with 64 Bit OS, but unfortunately, the speed decreases, and you do not get preferred results. The HP LaserJet M1120 lacks the frills associated with higher range models. To print 2-sided documents, one has to manually print. The printer loses points for its straightforward, basic, oversized shredder appeal. Even if, the printer has decent speeds, the print speeds does not fulfill larger businesses' necessities. One should not rely on the printer for colossal print jobs. Automatic duplexing and faxing does not exist on the mere basic printer. Hectic businesses in need of a high-volume of prints will not feel too enthusiastic about purchasing the printer. Many businesses will feel the obligation to upgrade to a better printer, if they possess the HP LaserJet M1120. The 32 Megabytes of memory cannot be upgraded. The 125 and 250 input/output trays cannot be improved. The printer lacks an Ethernet port. Review it: "HP LaserJet M1120 "
The HP LaserJet, part number CB436A, printer cartridge expel approximately a yield of 2,000 pages.